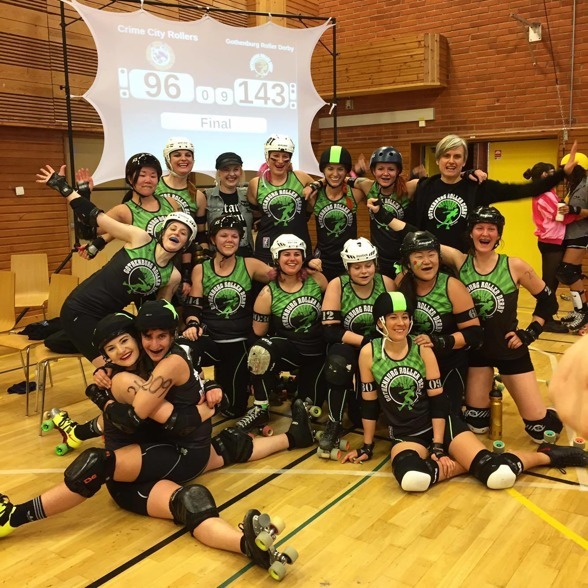 This past Saturday The A-Team played their last game in the elite league of roller derby before the Swedish Championships in July. The A-Team went up against Crime City Rollers (CCR) who they haven’t played since last year’s Swedish Championship. The A-Team took lead first jam. Keeping up lead jammer The A-Team scored the first points in the game and kept their scores just out of reach from CCR. Halfway through the first period CCR caught up to The A-Team leaving the audience in suspense with a number of lead changes. By halftime CCR had passedThe A-Team, with scores reading a close 78-74 in favour of CCR. The second period continued with several lead changes. Both teams displaying well synced walls, strong and hard offence, as well as some smart plays by the jammers. The teams were a great match against each other, leaving us with a fun game to watch. However The A-Team picked up their game halfway through the second period increasing the score difference. By the final whistle the scores read 96-143 in favour of The A-Team. We would like to thank Crime City Rollers for a tough and exciting game. We would also like to thank Stockholm Roller Derby for hosting a great weekend. 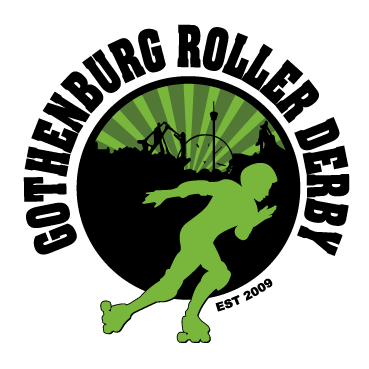 Next up for The A-Team is Vienna, March 19 , which is a WFTDA sanctioned game. The A-Team look forward to start working on their WFTDA ranking and the climb to come. The A-Team and our Badass Beavers will both play at our first home games for the season. Mark down March 26 in your calendars and join us at Bunny Brawl.